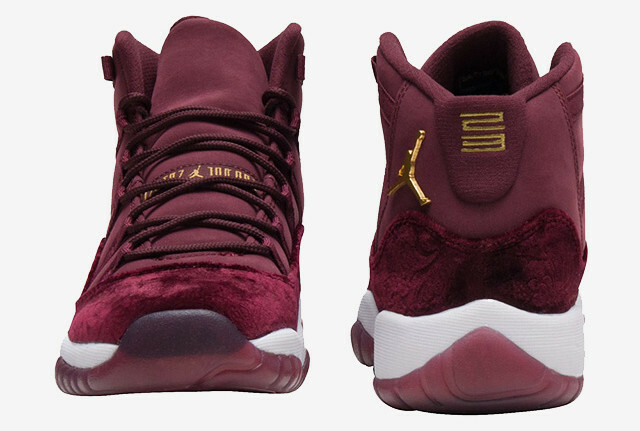 Next for the Heiress Collection. 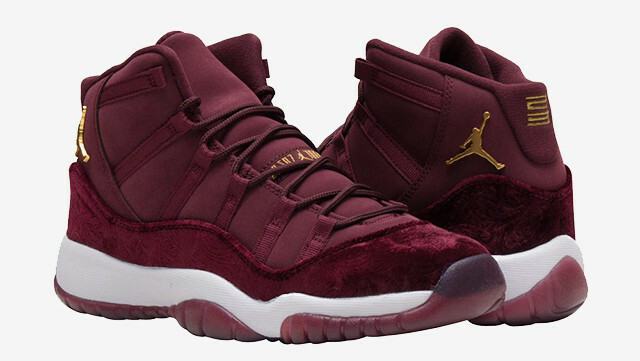 As it should, being the daughter of Michael Jordan has its perks. 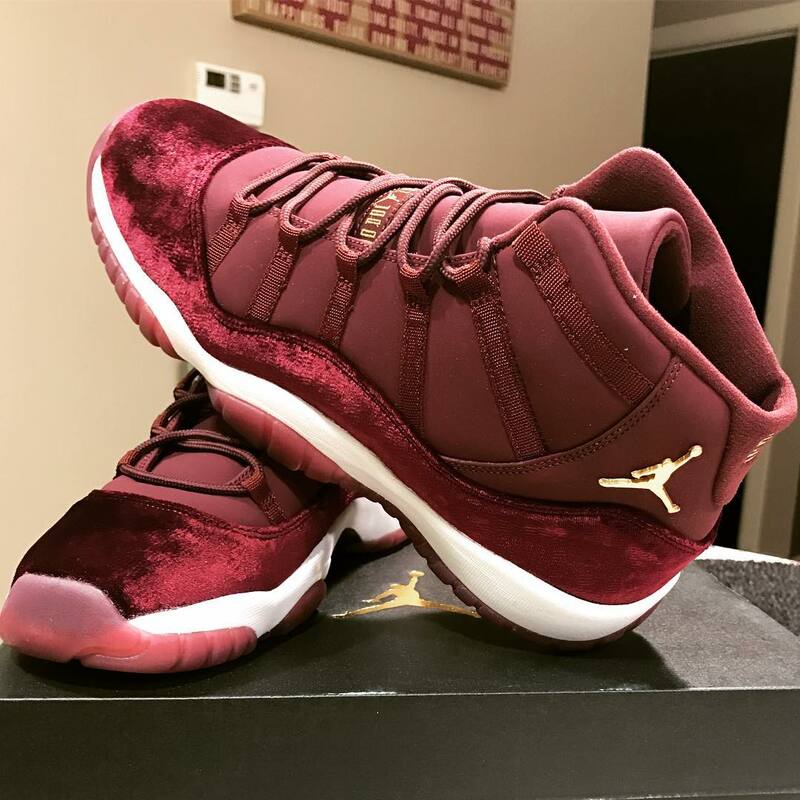 Twenty-three year-old Jasmine doesn't always show off her exclusive Air Jordans, but it's must-see stuff on those rare occasions when she decides to flex for the 'gram. 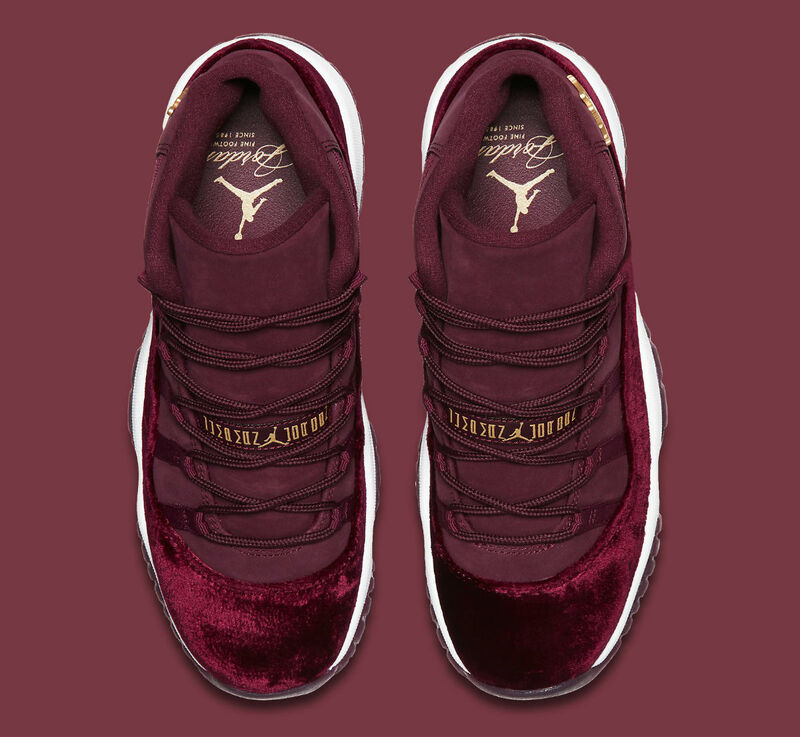 Here's a first look at the "Velvet" Air Jordan 11 from the Heiress Collection, which was first rumored back in April. 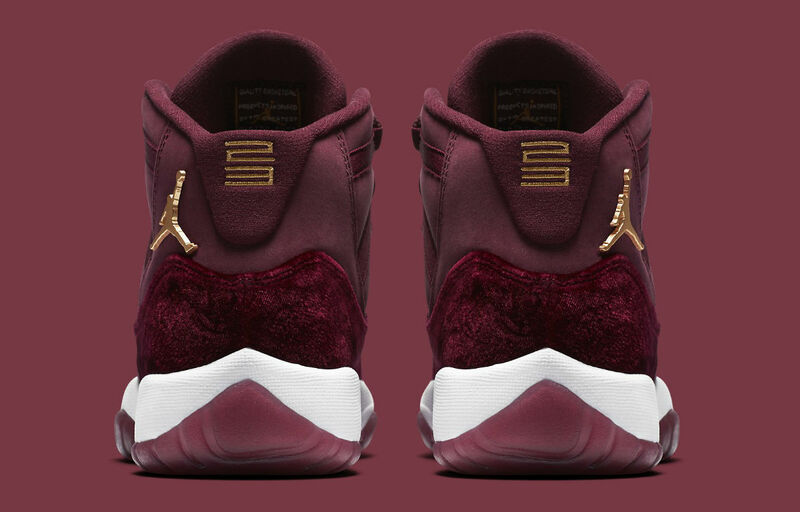 The shoe is styled in maroon, with metallic gold Jumpman branding and the first ever application of full-velvet overlay. 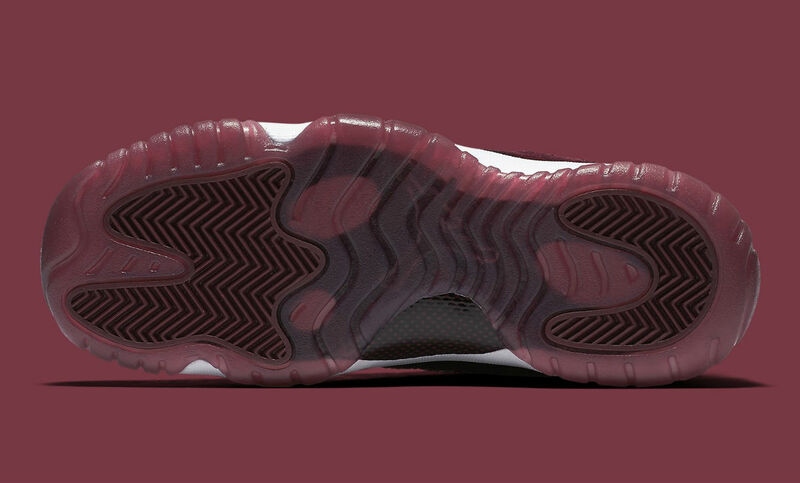 Below is a white midsole and maroon translucent sole. 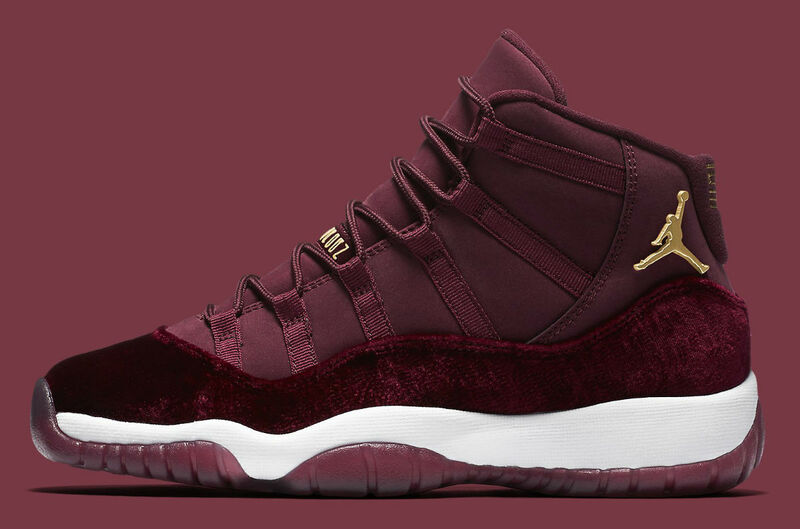 For now, the expected release date for the "Velvet" Air Jordan 11 is Dec. 17. 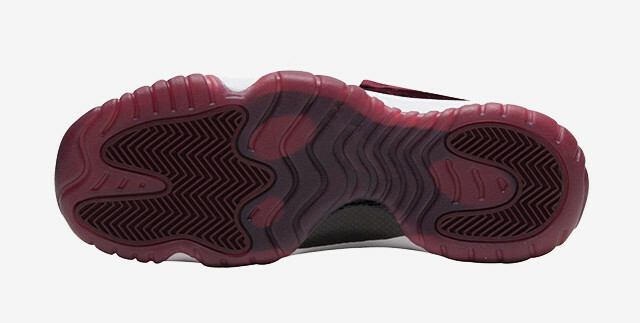 Hit the follow button above and stick with Sole Collector for updates. 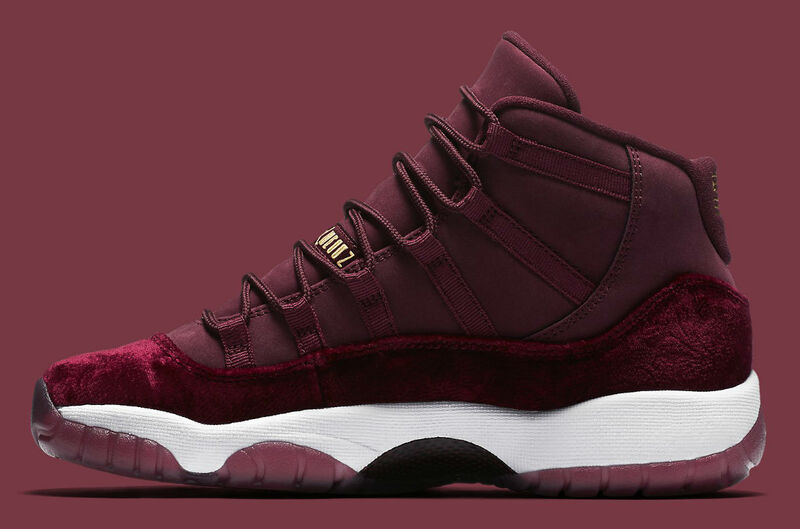 UPDATE 11/2: Official images of the "Heiress" / "Red Velvet" Air Jordan 11 Retro via Nike. 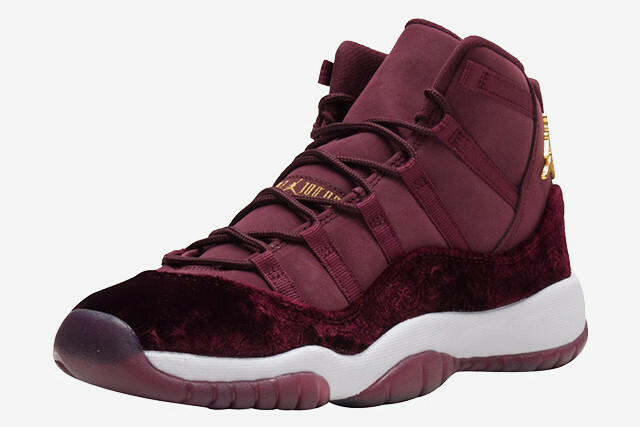 UPDATE 11/26: New product images of the Heiress Air Jordan 11 Retro via J23 App.